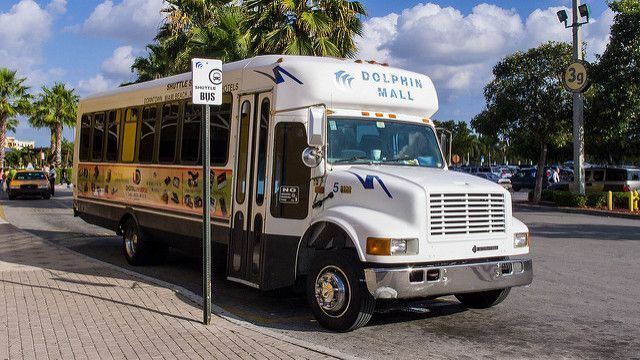 Our West Palm shuttle transportation services offer two types of shuttle bus services: Daily shared transportation and Private Transportation to our 40 destinations in Florida, including our West Palm Beach to Miami and West Palm Beach to Orlando routes. West Palm Beach shuttle Bus Transportation services has a convenient station location from where we reach over 40 Florida cities. Private Transportation is available for West Palm Beach shuttle transportation needs. This service is available anywhere and at anytime in West Palm Beach, Florida. Frequently our customers travel from West Palm to many destinations in Florida for vacation, business or to visit family. Check out our West Palm Beach most popular trips. From West Palm Beach, FL Florida Shuttle Now offers both Daily Shared Shuttle or Private Shuttle Transportation, our West Palm Beach trips are: West Palm Beach to Miami, West Palm Beach to Orlando, West Palm Beach to Fort Lauderdale, West Palm Beach to Boca Raton, West Palm Beach to Jacksonville, and more. West Palm Beach, FL located on the Florida Atalantic Coast and blessed with more sunshine than any other other city on the Florida East Coast. West Palm Beach offers many entertainment and loding options besides the white sandy beaches. West Palm Beach's SunFest remains Florida's largest waterfront music entertainment festival. High end retail shopping is available at the Palm Beach Outlets just minutes from West Palm Beach. Other districts for retail shopping and rarities include CityPlace, Antique Row,Clematis Street and Northwood Village. West Palm Beach offers just about something for everyone and is highly recommended for family vacations. Take advantage of our West Palm Beach Shuttle Bus which is proud to provide courteous and on-time ground transportation services to all Florida major airports and seaports. Our fleet of modern, clean and reliable vehicles will get you where you need to go in a safe and comfortable way. Venice Station Location: 2935 Executive Dr,Venice, FL *exit 193* at The Fairfiled Inn Hotel GET DIRECTIONS. Venice shuttle Bus Transportation services has a convenient station location from where we reach over 40 Florida cities. Private Transportation is available for Venice shuttle transportation needs. This service is available anywhere and at anytime in Venice, Florida. Frequently our customers travel from Venice to many destinations in Florida for vacation, business or to visit family. Check out our Venice most popular trips. From Venice, FL Florida Shuttle Now offers both Daily Shared Shuttle or Private Shuttle Transportation, our Venice trips are: Venice to Naples, Venice to Sarasota, Venice to Tampa, Venice to Orlando, Venice to Miami, and more. Take advantage of our Venice Shuttle Bus which is proud to provide courteous and on-time ground transportation services to all Florida major airports and seaports. Our fleet of modern, clean and reliable vehicles will get you where you need to go in a safe and comfortable way.